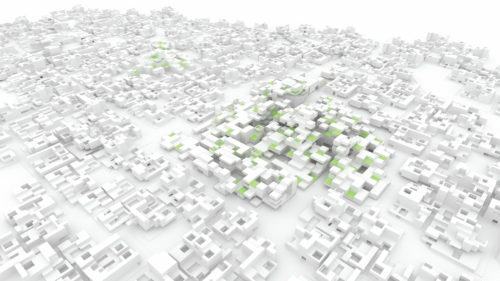 Synchronicity addresses the phenomenon of decline in spatial attributes in developing countries due to rapid urbanisation. 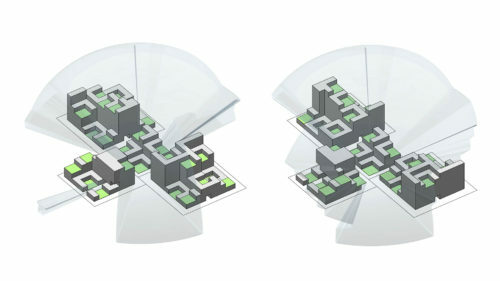 The ambition is to establish a design system that reinterprets spatial logics and spatial identity associated with socio-cultural life into quantifiable parameters, and incorporates them with high density urban development. 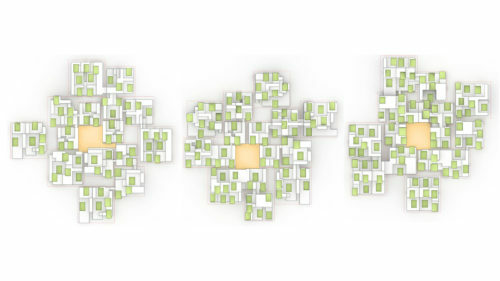 This would not only add social relevance but also create location specific architectural identity. 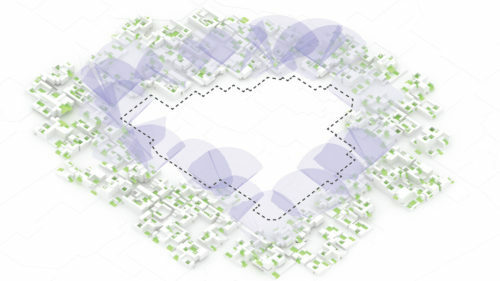 The process undertakes analysis of selected indigenous settings for their spatial attributes. The open spaces and built morphologies in these settings are studied as they are the embodiment of the local socio-cultural and environmental aspects. 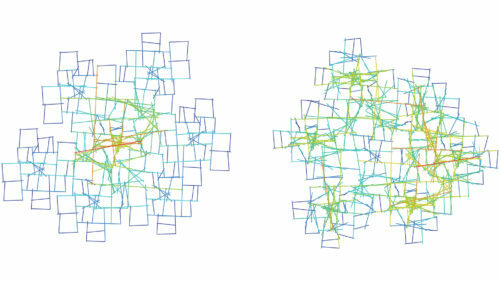 Innovative sampling methods are adopted to extract and convert spatial and organisational aspects into numeric parameters and geometric logics, which would be used in the computational design process. 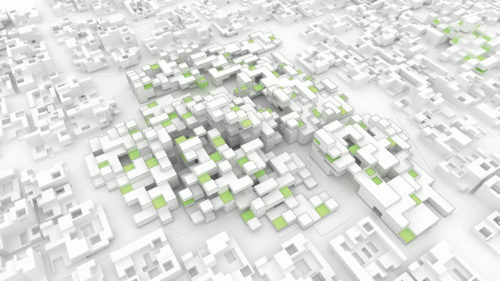 The attempt focuses on the development of an evolutionary urban design model, which accommodates demographic pressures of density while retaining its spatial identity based on former settlements. 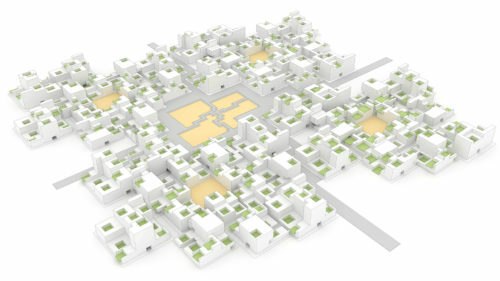 Organizational aspects like spatial hierarchy and open space distribution are referenced from the local settings to be embedded into the new urban morphology. 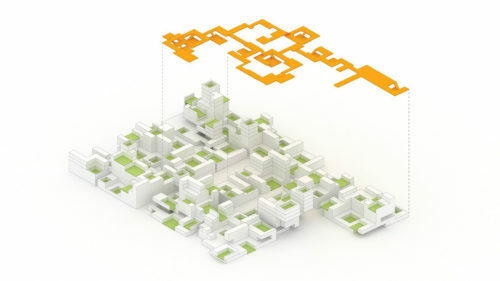 The system would operate in two levels; in the first stage optimised geometries would be generated and catalogued. The catalogue would constitute geometries differentiated in terms of spatial and density attributes to suit different urban requirements. 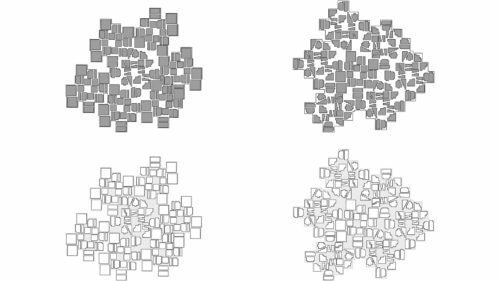 These catalogue geometries would be applied in actual urban scenarios with site constraints of boundary conditions, density and network patterns and programmatic requirements. 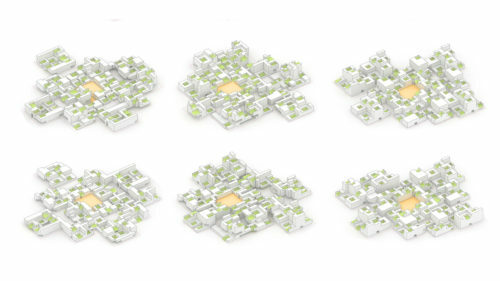 The ability of these geometries to mitigate and modify to suit differentiated site conditions would be tested in this stage. 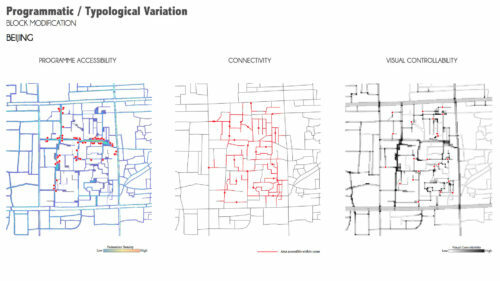 The system elaborately intertwines bottom–up and top-down approaches for application within urban scenario. 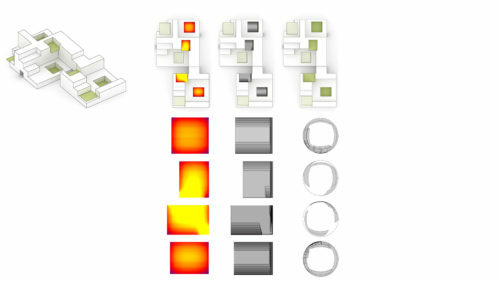 This takes into consideration the emergent aspects occurring in the bottom-up approach and the top-down imposed architectural objectives for the site. 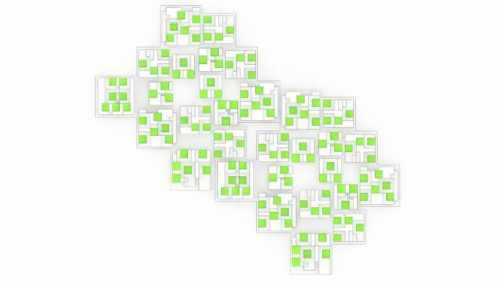 The intelligence of the system would be based on taking into consideration the local settings, the urban demographic demands, the capacity/limitations of the catalogue geometries and the architectural ambitions. 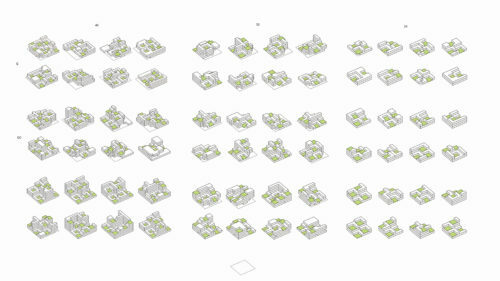 The attempt would be to generate, with the same system, differentiated result for varying urban scenarios.